This is a corporate web design for a green energy company built on WordPress. 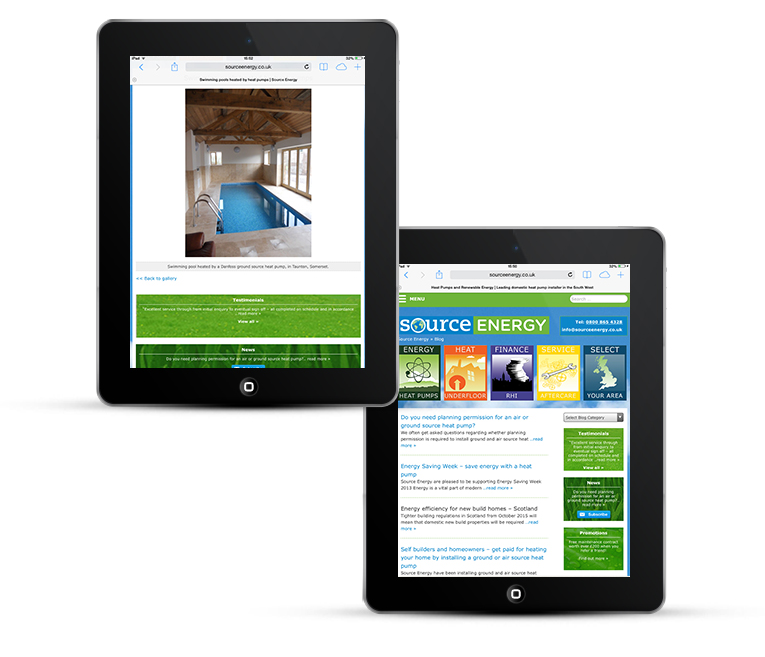 Source Energy specialise in renewable energy. 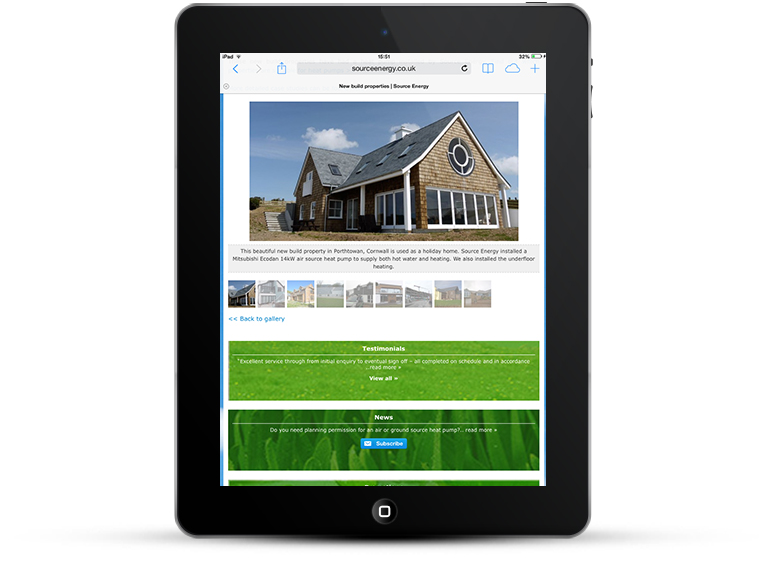 They have been installing ground and air source heat pumps in the Southwest of the UK for more than 8 years. They have done more than 400 installations.  The purpose of the website is to promote awareness, provide credibility through case studies, increase leads and reduce call outs by giving more guidance online. 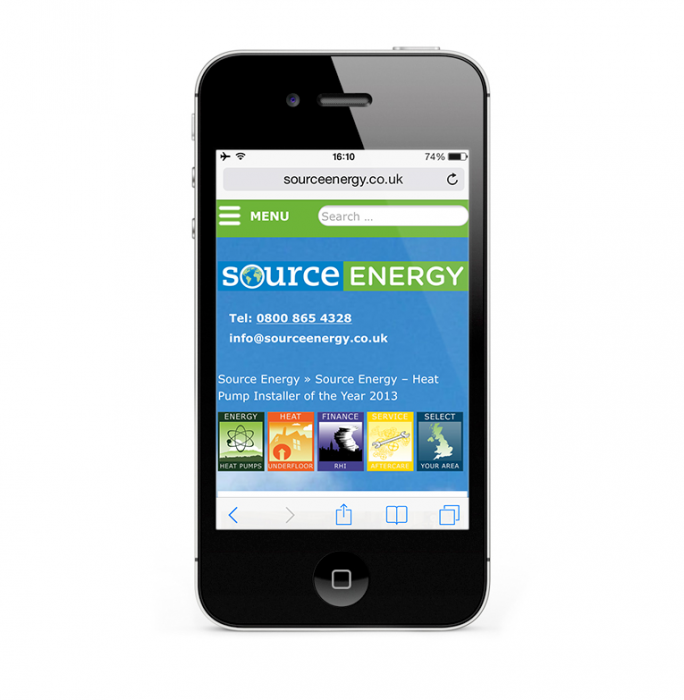 Source Energy needed a content management system, they already knew WordPress and for the site to work well on mobiles. 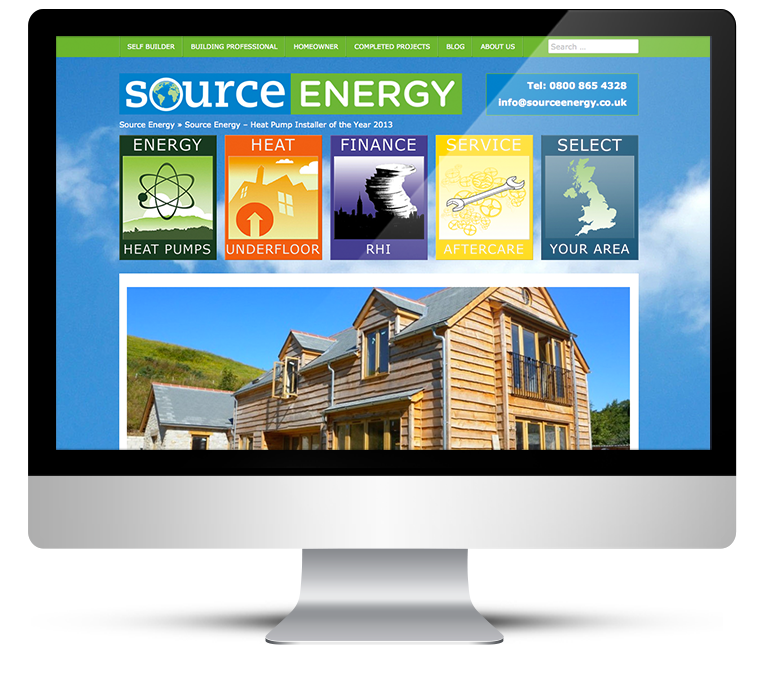 Source Energy already had their own web design ideas with the green grass and blue sky theme to enforce the green message. This was to form the basis of the website design. This WordPress corporate web design was clearly specified by the client. A blue sky and green grass background, which I created by merging two images. Blue and green are then used throughout the site as main theme colours. The large icons that sit at the top of the page were created by Source Energy themselves. Clear calls to action ask the visitor to get in touch or to subscribe to newsletters. 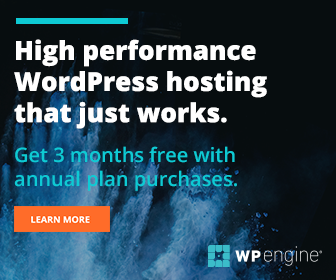 This WordPress site is full of information and help. Case studies give the visitor a feeling of security and trust in the brand. With the CMS courtesy of WordPress the clients are able to change the page layouts and content whenever they need to. 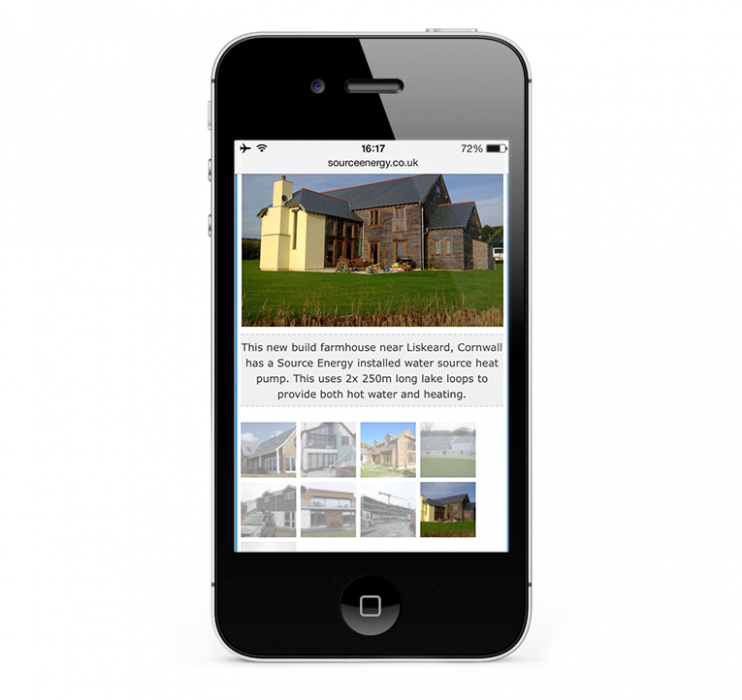 Image galleries display large images for easy viewing. Google Map with location pins.